The luxury Cambria 1 tap hole basin with full pedestal from Premier, inspired by the latest European designers. Manufactured from high quality vitreous china with a quality high gloss finish, the contemporary stylish Cambria range with its clean neat design will surely enhance the look of your bathroom. 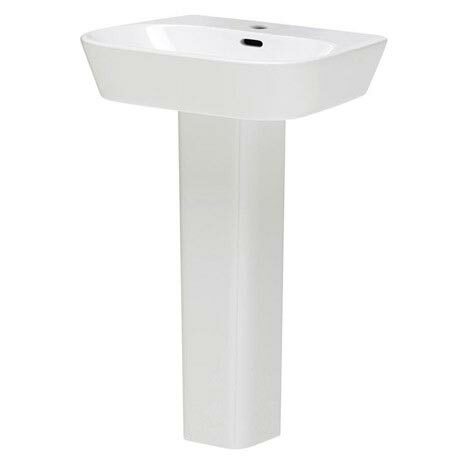 Supplied with a full pedestal which will conceal unsightly pipework from view. Soft square design provides ample washing space and a contemporary feel.